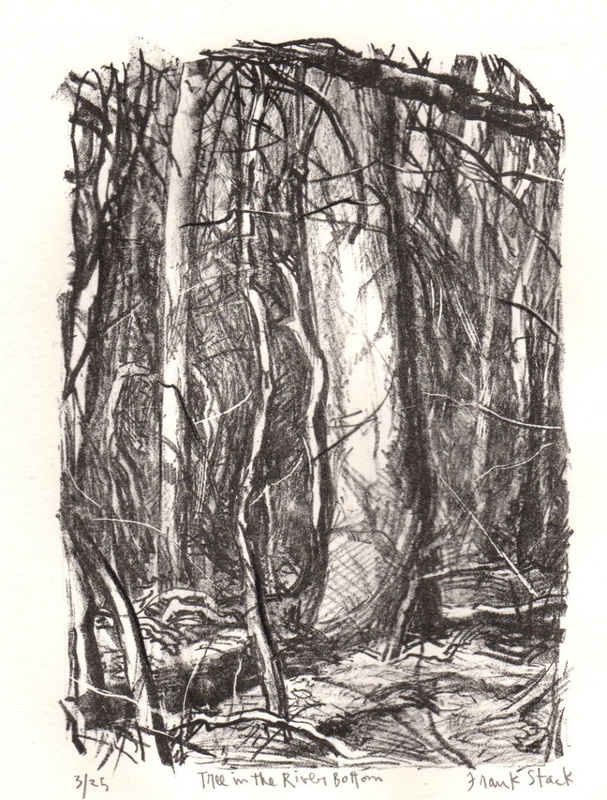 This original hand-signed lithograph represents a tree surrounded by tangled undergrowth in the Missouri River bottom. This lithograph is the 3rd print from a limited edition of 25. Image size: 6.25" x 4.5" Sheet size: 9.75" x 8.5".